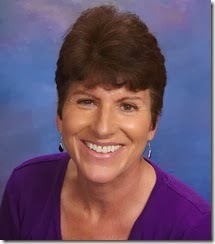 As my guest today, I have mystery thriller author L. J. Sellers writing about one of my favorite topics: Villains. LJ shares her thoughts and asks you to share your favorite villains at the end of her post. And be sure to check out the great giveaway contests below. Take it away, LJ! The villains in thrillers are often extraordinary human beings. Super smart, physically indestructible, and/or incredibly powerful because of their money and influence. As a reader/consumer, those characters are fun for me too, especially in a visual medium where we get to watch them be amazing. But as an author, I like to write about antagonists who are everyday people—either caught up in extraordinary circumstances or so wedded to their own belief system and needs that they become delusional in how they see the world. In my Detective Jackson stories, I rarely write from the POV of the antagonists. That would spoil the mystery! But in my thrillers, I get inside those characters’ heads so my readers can get to know them and fully understand their motives. I’ve heard readers complain about being subjected to the “bad guy POV,” but that’s typically when the antagonist is a serial killer or pure evil in some other way. I share their pain. I don’t enjoy the serial-killer POV reading experience either. But when the villain in the story is a fully realized human being, who has good qualities as well as bad, and who’s suffered some type of victimization, and/or has great intentions, then I like see and feel all of that. And I think most readers do too. In The Trigger, the antagonists are brothers, Spencer and Randall Clayton, founders of an isolated community of survivalists, or preppers, as they’re called today. As with most real-life isolationists/cult leaders, they are intelligent, successful professionals—with a vision for a better society. But these everyday characters decide to mold the world to suit their own objectives and see themselves as saviors—becoming villains in the process. From a writer’s perspective, they were challenging to craft—likeable and believable enough for readers to identify with, yet edgy enough to be threatening on a grand scale. On the other hand, my protagonist Jamie Dallas, an FBI agent who specializes in undercover work, was such a joy to write that I’m launching a new series based on her. 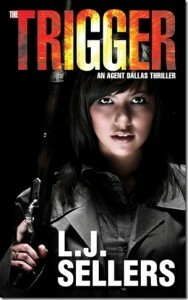 The first book, The Trigger, releases January 1 in print and ebook formats, with an audiobook coming soon after. To celebrate the new series, the ebook will be on sale for $.99 on launch day. Everyone who buys a copy (print or digital) and forwards their Amazon receipt to lj@ljsellers.com will be entered to win a trip to Left Coast Crime 2015. For more details, check my website. If that weren’t enough, I’m also giving away ten $50 Amazon gift certificates. So there’s a good chance of winning something. But the contest is only valid for January 1 purchases. Who are your favorite villains? Supermen types? Everyday delusionals? Or something else? L.J. Sellers writes the bestselling Detective Jackson mystery series—a two-time Readers Favorite Award winner—as well as provocative standalone thrillers. Her novels have been highly praised by reviewers, and her Jackson books are the highest-rated crime fiction on Amazon. L.J. resides in Eugene, Oregon where most of her novels are set and is an award-winning journalist who earned the Grand Neal. When not plotting murders, she enjoys standup comedy, cycling, social networking, and attending mystery conferences. She’s also been known to jump out of airplanes.